Scritto il 18 Novembre 2010 . I have been experimenting with an off center fed dipole for for field operation, and the antenna called for a 4:1 balun on most bands, and a 1:1 balun on 15 meters. Not wanting to take the time to physically switch baluns, I thought it would be nice to have a balun that could change ratio at the flip of a switch. 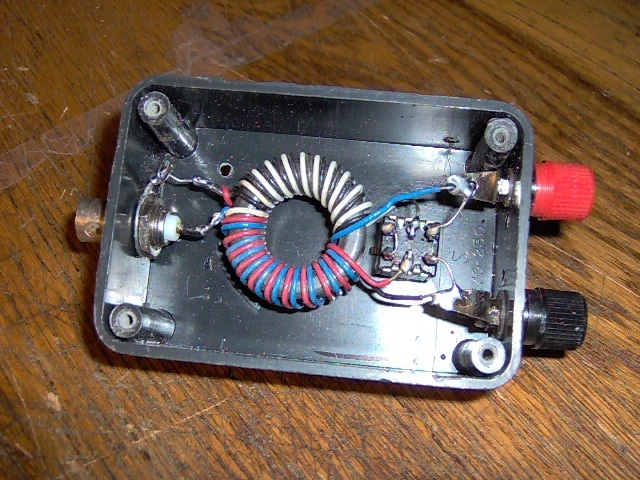 So I did a bit of web searching and saw the switchable ratio balun on the Elecraft website and figured thats exactly what I need. So I looked in my ever growing junkbox to see what I had on hand to see if I could build one from scratch. 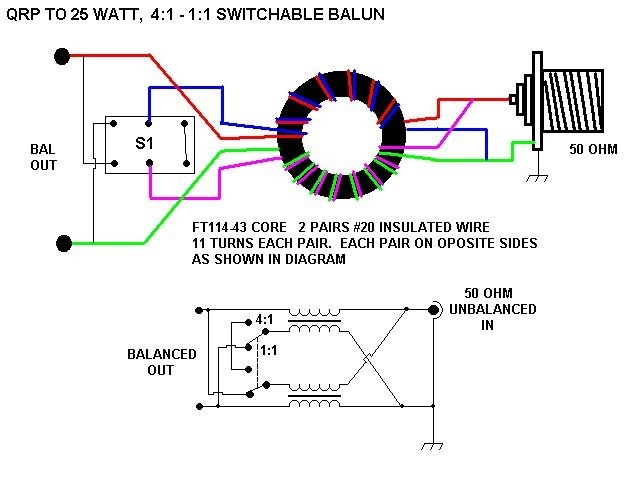 I located an FT114-43 toroid and a roll of multi colored insulated #20 wire, a small plastic box with BNC connector already installed from a previous project and a mini DPDT toggle switch, and finally a couple of binding posts - everything I needed for a switchable ratio balun of my own. So here's what I ended up with and it has proved to be a useful field accessory in my jump bag. The diagram above pretty much explains how to wire it up and the photo below will give you an idea of what the finished product looks like in case you decide to build your own. 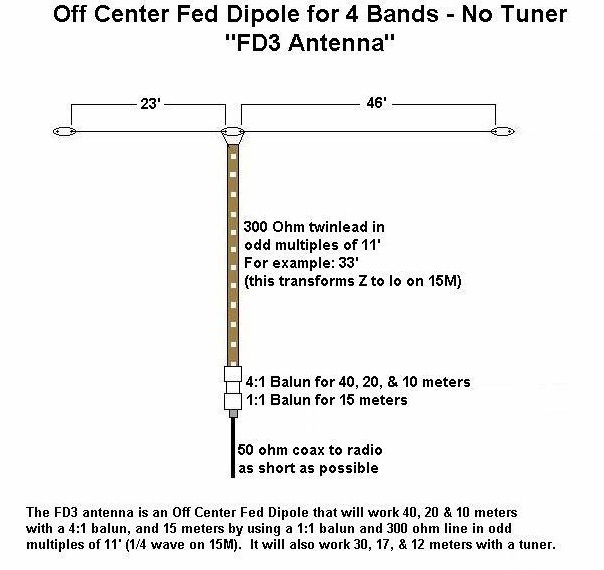 Below is a diagram of the antenna I have been experimenting with that the balun was built for just in case you may want to build it too. I haven't exactly got my FD3 antenna trimmed to where the SWR is low on all bands yet, but the switchable balun will make it much easier to do that now !